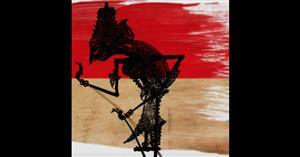 A history of all things Indonesia. 300 plus ethnic groups make up modern Indonesia. This episode takes a closer look at just a few of these groups.. . .
Ming era China takes to the sea and changes Southeast Asia.. . .
Majapahit comes to dominate much of the archipelago. But at the same time Islam slowly takes hold and starts to reshape the Malay world. Trade starts to centre on the new port of Malacca.. . .
After the collapse in Central Java, the Javanese rebuild to challenge Srivijaya but then face a much bigger threat.. . .
Rice kingdoms emerge in highland Java and usher in a period of temple construction culminating in Borobudur and Prambanan. Power moves to the East and trade in spices takes off.. . .
Indonesia's first great empire. A maritime kingdom that had been lost to history until its 20th century rediscovery.. . . The transition from prehistory to history. The development of Southeast Asian cultures and the growing importance of seafaring, agriculture and statecraft to Indonesian societies.. . . The prehistory of Indonesia. The land itself and the migration of people into the region up to about 1500BCE. . .
Hello Here's the first episode of my first podcast! In this introductory episode I let you know a bit about myself and what I've got planned. I also try to mention as many of my favourite podcasts as possible.. . .